In 2011, we noted that it has taken Siriusmo a decade to pull together his first official album, Mosaik, but luckily it won't take him quite so long to unveil the follow-up. 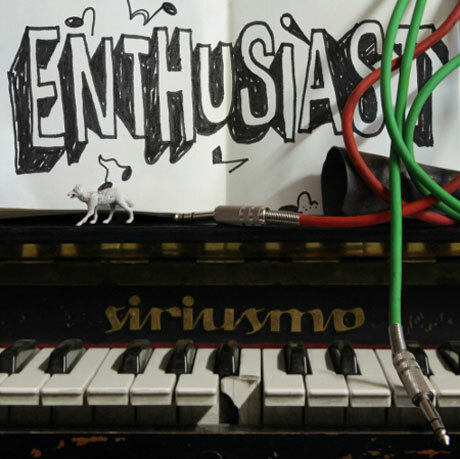 The Berlin electronic producer's second album is called Enthusiast, and it's due out June 14 through Monkeytown Records. This 13-track LP follows the 2012 EP Doctor Beak's Rantanplant, and it includes all three tracks from that short collection. You can hear those three songs at the bottom of this page, along with the bouncy new album cut "Itchy." A presumably facetious statement from the label [via Juno Plus/FACT] reads, "After eighteen years, elaborate and outrageously expensive recording with a full-size Czech symphony orchestra, Siriusmo decided to reject it and to retire with enthusiasm. This was followed by moments of euphoria, overconfidence, and many shed tears. Once at the bottom of the facts, he now proudly presents his new album Enthusiast." The tracklist is below and the album cover is above. Enthusiast will be available on CD, double-LP and digital download.